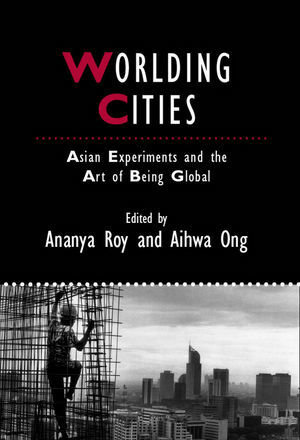 Worlding Cities is the first serious examination of Asian urbanism to highlight the connections between different Asian models and practices of urbanization. It includes important contributions from a respected group of scholars across a range of generations, disciplines, and sites of study. Ananya Roy is Professor of City and Regional Planning and Co-Director of Global Metropolitan Studies at the University of California, Berkeley. Her most recent book is Poverty Capital: Microfinance and the Making of Development (2010). Aihwa Ong is Professor of Socio-cultural Anthropology at the University of California, Berkeley. Her most recent publications are Privatizing China, Socialism from Afar (2008) and Asian Biotech: Ethics and Communities of Fate (2010).